Hello readers! 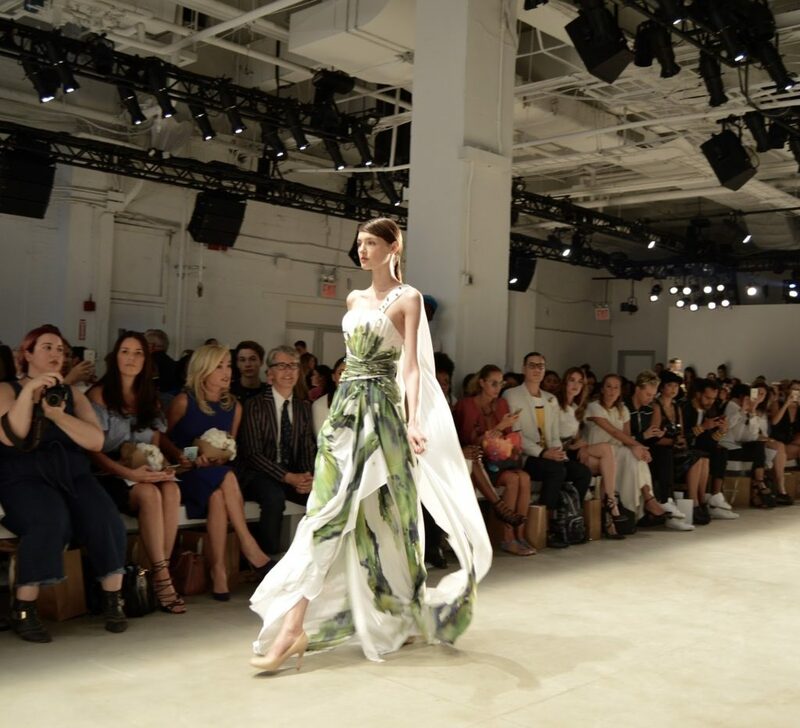 Most of you know that I got to experience New York Fashion Week live and in person for the first time this week! What a magical adventure it was! I have SO much I want to share with all of you! 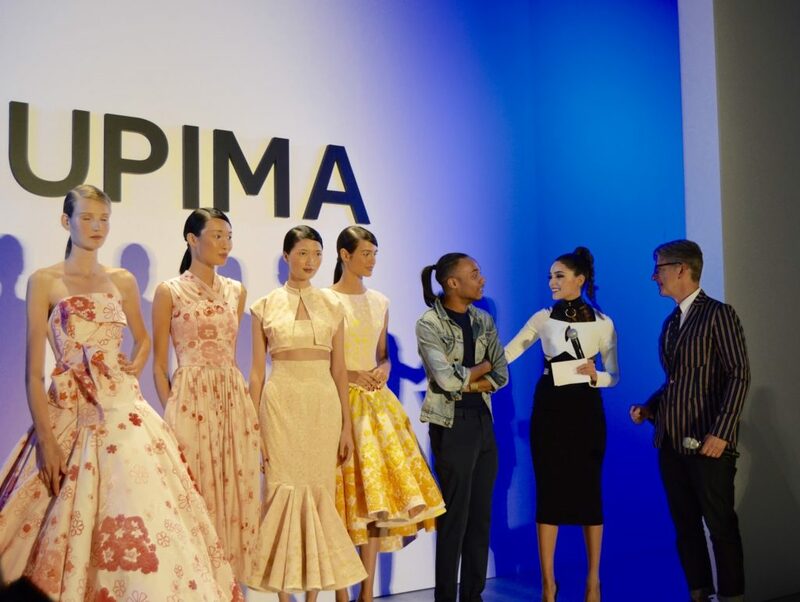 I’ll start off with a post about my first fashion show, the Supima design competition! 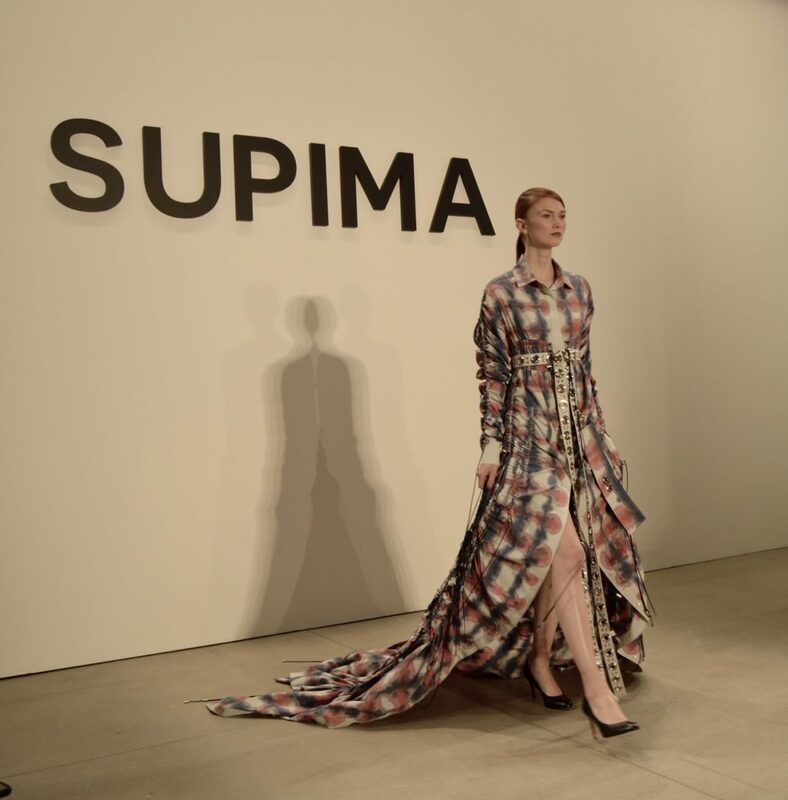 Supima cares about making the best premium cotton, the environment, and fashion! Supima holds a design competition every year and this year I was fortunate enough to be there. Not only that but I dumb-lucked myself into an AMAZING seat! These first designs I’m showing you are from Jacob Blau. I have a special fondness for his punk-ish inspirations and red and purple hues. I love the sense of whimsy and rebellion. My only complaint? What’s with the shoes? All the looks were shown with classic pumps though, so maybe that was a requirement. Dustin Jasso showed glamorous gold gowns, as well as this dreamy ethereal goddess dress. Jiyeon Lee created bold shapes in lovely shades of purple. 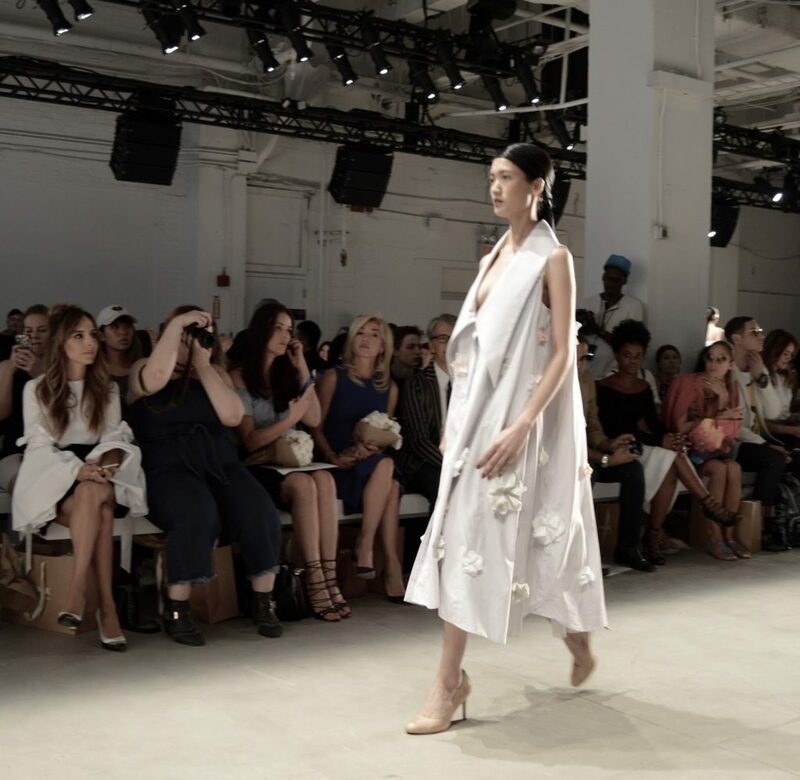 Kara Michelle Kroegen’s pieces were strewn with fabric flowers which created a cool modern yet romantic look. Jacqueline Zeyi Chen had unique shapes, and also used shades of violet in her other looks. 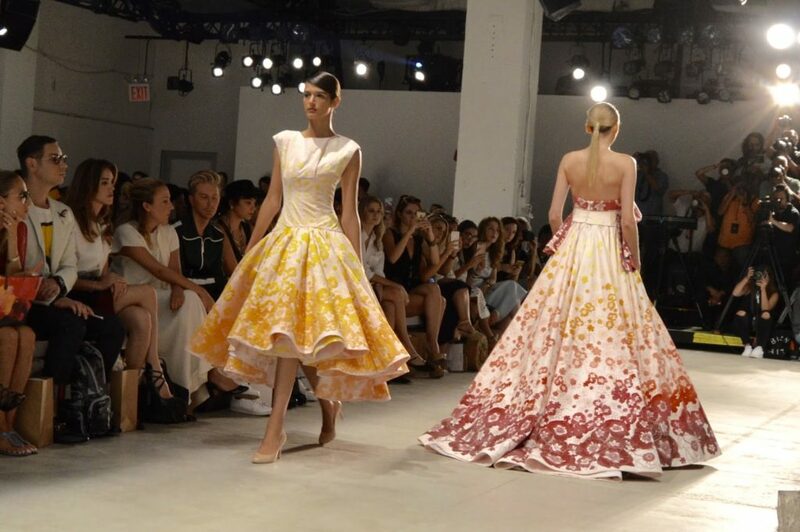 And Jeffery Taylor was the well-deserving winner with his feminine floral dresses in luscious pinks and yellows! Did I whet your appetite for more? See the whole show here! And hey, can you spot me in the front row in my red floral dress?! 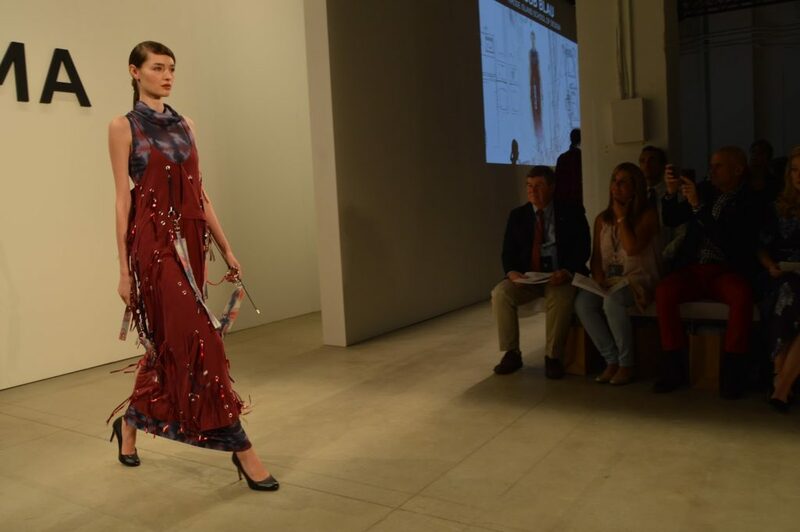 What a kick to see myself in a fashion show …. okay okay, not actually IN a fashion show, but … you know …. umm … hee. And all the photos in this post were taken by me. I didn’t get such great shots at all the shows, but I’m really happy with this little set. And hey fellow bloggers, please forgive me for getting behind on my visiting and commenting on all your fabulous blogs. 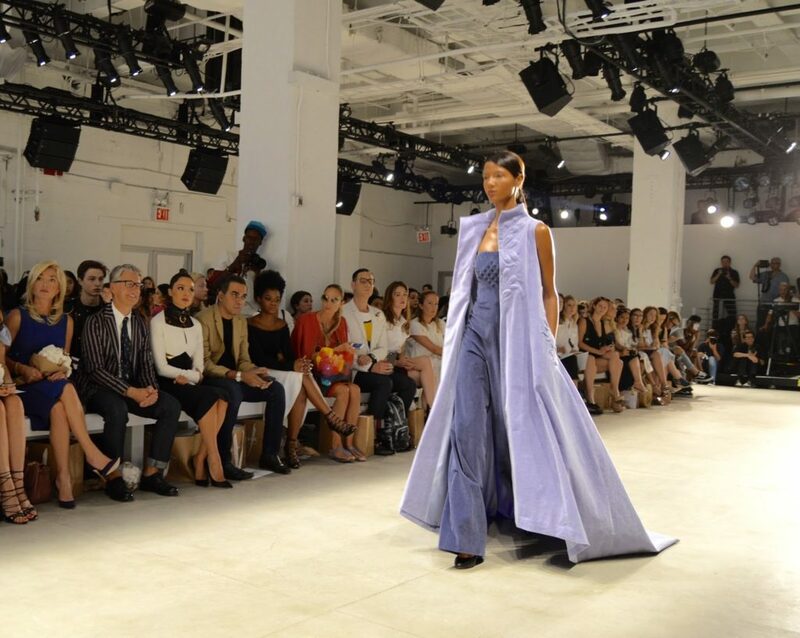 Between a new school year and attending fashion week, I’ve been a bit overwhelmed. Happy as a pig in … Chanel … but crazy!